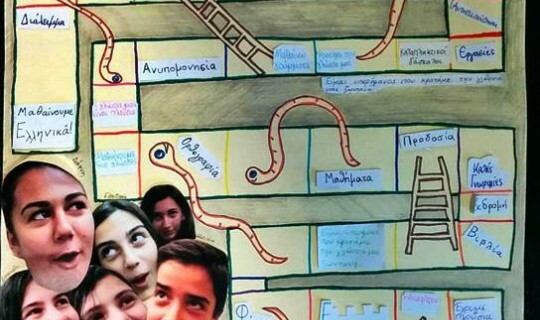 A Greek Community of Melbourne's school will be awarded by the National Kapodistrian University of Athens for its participation in the Student Poster Competition with the theme: "Ours school ... What I like in my class because my school is important to me", organized by the 1st Panhellenic Conference of School Psychology. The Conference is organized by the Department of Psychology and the Centre for Research and Implementation of School Psychology of the University in collaboration with the School Psychology Division of the Greek Psychological Society. The University announced that the work of the Greek Community’s first year secondary school students under the supervision of the teachers Ms Maria Bakalidou and Ms Katerina Poutachidou have been selected for an award for the poster they submitted to the competition. The award ceremony will take place during the Conference, on Saturday, 21 November. The final evaluation of the projects were done by a specific disciplinary committee which was based on a series of artistic, psychological and literary criteria.